Paneer is a rich source of protein and is used as a meat substitute in many Indian dishes. It is also a rich source of energy, fat, calcium and phosphorous. 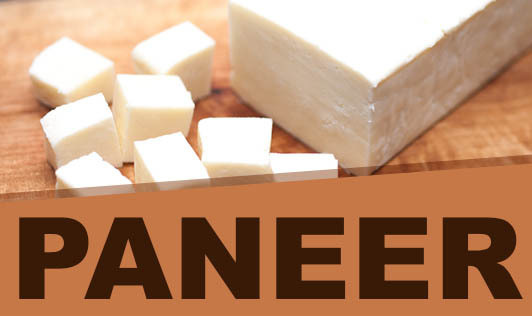 Paneer is rich in calcium and helps to maintain strong bones and teeth. Due to its low lactose content, it prevents teeth from getting decayed due to harmful sugars. Paneer also helps to prevent osteoporosis due to its calcium content. Paneer in moderation is associated with lower body weight as well as reduced risk of developing insulin resistance syndrome. It is a good source of protein and reduces cancer risk. It helps prevent and reduce back and joint problems. Myth : Paneer will make you fat. Fact : Paneer is rich in protein and the fat content is the same as milk. Raw paneer in moderation will help in weight loss. It is also rich in calcium which helps to maintain strong bones and teeth and to prevent osteoporosis. Myth : Diabetics should not eat paneer. Fact : Paneer helps to reduce the risk of developing insulin resistance syndrome. This syndrome is associated with obesity, hypertension, glucose intolerance and type 2 Diabetes mellitus. Hence, it helps to tackle the problem of insulin dependent diabetes. Paneer can be added to curries/gravies without frying. Snacks like sandwich, salad etc can be prepared by adding paneer.